Download our free 20 page guide to understanding the VA Home Loan Program. Yes, I'd like to learn more on how to attract military home buyers in Hawaii. We respect your privacy. View our policy. Speak with a VA Loan specialist. 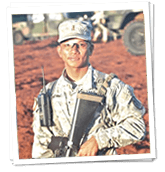 Hawaii VA Loans is not affiliated with any government agencies, including the VA. Hawaii VA Loans is a division of Land Home Financial Services, Inc, a VA approved lender. NMLS #386040. This site is not authorized by the New York State Department of Financial Services. No mortgage loan applications for properties in the state of New York will be accepted through this site.